Mark Tobin and his wife Chris Ferrari have seven acres of merlot, one and a half acres of cabernet franc, seven acres of chardonnay in Southold and a dream of producing old world wine similar to Mark’s favorite, Pomerol. The oldest vines are nine years old, and Mark is starting to think about getting his bottles to the marketplace. He does not have a license yet, but is making the wine at Premium Wine Group, the custom crush winery in Mattituck. What he’s really excited about is the 2005 Merlot. A scorching growing season with very little rain left growers on the East End a little giddy as they thought of a potential ripeness unheard of in the maritime climate. Hope crashed down on Columbus Day weekend when it rained for days straight. However, those who waited for their fruit to dry out were rewarded with ripe. Ripe fruit with high sugar, as well as ripe phenols that translate into smooth tannins. What’s open now is some chardonnay Mark made at Premium. He was shooting for a chablisienne style, he said, with minerality. He used about 10 percent oak and the wine went through malolactic fermentation. 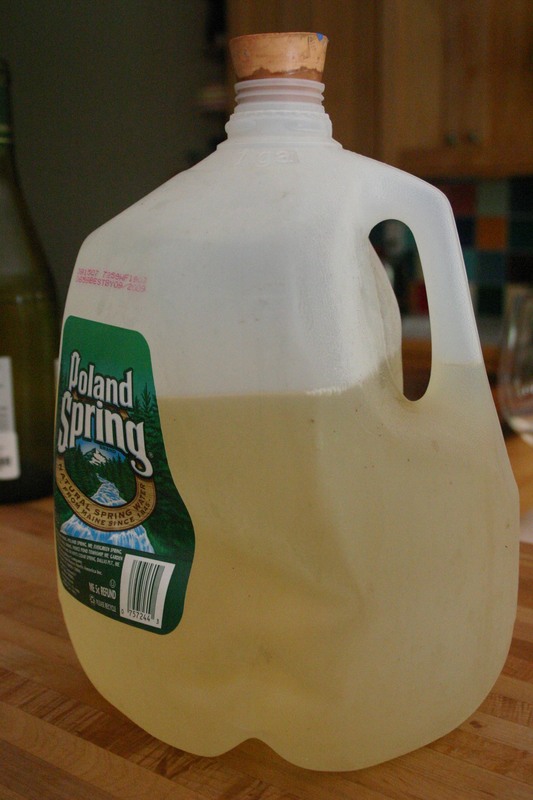 The wine was in a jug, he said, because he was using it to top of the barrell of the wine he makes in his garage. The wine, which is not available commercially (SLA), isn’t quite chablisienne, but despite being subject to plastic, and I don’t know how much air before it ended up in my refrigerator, is pretty good. There’s a creaminess that’s balanaced by bright apple with medium plus acidity. It’s got good length and a strong finish. And I agree with Mark, it’s very clean. 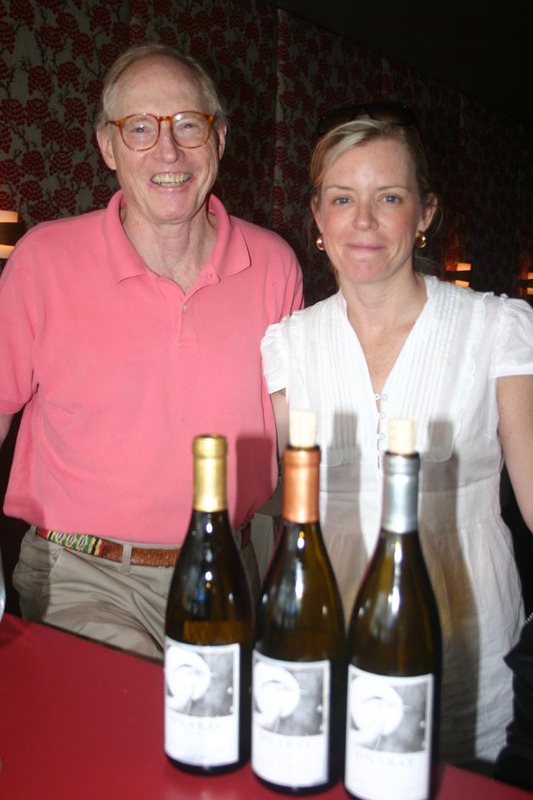 Chiara Anderson Edmands and her dad Brad Anderson were in the restaurant yesterday to show me the inaugural wines from their Southold vineyards here on the North Fork of Long Island, Onabay Vineyards, so named because it borders the Peconic Bay. From the 2006 vintage, which was just OK, they’re showing a baseline chardonnay, an unwooded chardonnay and what they’re calling Wild Ferment, which was made using ambient yeast, as opposed to added yeast to start fermentation.